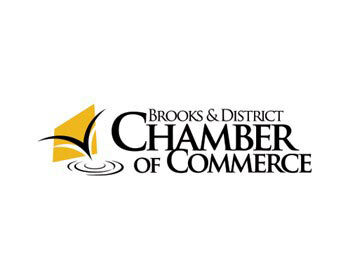 Chamber Members Come Together to Launch Makerspace! SPEC Association's Makerspace will open its doors on March 10th, 2018. This program aims to empower youth and young adults by providing them the opportunity to build relevant skills sets for a changing economy. It is also a program that allows participants to explore their creativity in a setting that is supported by the tools and mentor guidance needed in order to succeed. “The Makerspace movement that is occurring all over the globe, is occurring to meet the needs of a generation of youth. With technology changing every aspect of our lives, it is critical that we, as a society, provide our youth with the tools they will need in order to succeed in an environment of accelerating change. This Program is about creativity and interaction. Now more than ever, we need to support our youth to build their social networks and skills, Makerspace will support those objectives” said SPEC Executive Director Scott Berry. The Brooks Makerspace will initially cater to all youth and young adults and will expand to the broader population, based on demand. The Makerspace will house equipment such as coding computers, 3D printers, robotics, music and video production equipment and traditional art supplies. The Makerspace will be housed in the ‘old Newell County Administration Building’ at 707 2nd Avenue East. This program came together because of the shared vision and contributions of a variety of local organizations and companies. One of the original champions and a significant supporter of the Makerspace is Grasslands Regional FCSS. “The Grasslands Regional FCSS Out of School Activities Survey findings and discussion with 900 students clearly demonstrated youth’s desire to connect with other youth outside their home communities, to increase out of school activities and to have more of a connection and voice in their communities. It also identified anxiety as the top issue that youth are dealing with today. FCSS is proud to partner with the SPEC Makerspace which seeks to inspire youth to develop their full capacity, creativity and confidence to become agents of change in their personal lives and in their community” said Lynn Pye-Matheson of FCSS. In addition to the above supports the Makerspace has been made possible as a result of in-kind and financial supports from the City of Brooks (including an in-kind donation of the lease of the physical space and a cash donation) and Medicine Hat College (40 computers). The project is only successfully because of these supports as well as the hundreds of ours of volunteer support already provided by many dedicated individuals. In order to truly meet its goals, The Makerspace needs the support of the community. Most urgently, we are in need of volunteer mentors that have skill sets related to “Making” and who would be interested in passing on to youth and young adults. This is community project for the health of the community and its youth population that will only succeed with community support, volunteers and visionaries. Please contact Scott Berry directly at SPEC Association to get involved. SPEC is focused on the positive development of youth by providing a continuum of services from early intervention (prevention) to high intervention during crisis. By providing family support services, SPEC continues to focus on a variety of preventive and educational programs that promotes a caring and committed community where kids are resilient and valued. If you would like more information about the Makerspace project, please contact Scott Berry at SPEC.